Ecommerce Website Start Up? Answer These Questions First! With over a hundred million internet geeks from around the world shelling out cash online within the recent years, now may just be the perfect time for you to think about starting an ecommerce website shop of your own. Setting up an online business takes no more than a few hours, but maintaining one requires a lot of time and planning. Hard work and determination are also necessary to start up your business and keep it running. But before you jump in, you’re going to have to ask yourself these eight questions first. The first step of starting an ecommerce website is deciding what product you are selling. Oftentimes, this is the most challenging part of the entire process. You may have to execute a number of strategies before you finally decide on what product you’re going for. As soon as you’ve secured a product idea in your mind, evaluate both your product and your target market to determine product viability and market demand. After doing so, figure out how to obtain your products through various methods, which may include making, manufacturing, buying wholesale, and drop shipping. 2) How will you process payments? Before launching your ecommerce website, it’s essential to think about what kind of payments your business will accept. Will you process payments through credit cards, PayPal, or possibly Bit coin? 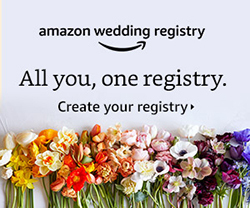 Will you provide a checkout form? Will you send the customer an email once the purchase is complete? What plugins and extensions will you need to support the different payment processes? The type of payment options and configurations will affect your website and its users, so choose carefully or seek the advice of an experienced individual. 3) How will you secure your site? Choosing a secure ecommerce platform is the first step to defending your website against possible online threats. The next step would be to implement SSL certificates, the standard to keeping online transactions secure. SSL certificates authenticate user identity and employs data encryption while at store and during transit, ensuring good connectivity between your website and the end users. It would also help to use a virtual private network to protect yourself from malicious users. Finally, educate your customers and employees regarding the laws and policies involved in dealing with customer data. 4) How will you handle customer issues? As a proper business owner, you must always put your customers needs before your own. This includes providing quality customer service to each one. It’s guaranteed for customers to have questions and concerns regarding your product. So how will they be able to get a hold of you? The best solution would be to provide your contact information on your website. Taking good care of your customers and making sure that they have a wonderful shopping experience on your website will benefit you greatly in the long term. 5) Who will be using your ecommerce website? It’s important to think of your target market throughout the whole process of creating your ecommerce website since your customers will be the ones constantly using it. User experience is the most exciting opportunity for a business. Keep in mind that customers who have a positive experience with a specific company will most likely stay loyal to that brand. Research on the specific market you are targeting and tailor your website design and functionality to meet their needs as best as you can. 6) How do you get people talking about you store? It’s a good idea to begin promoting your online shop even when you haven’t officially opened yet to get people to start talking about your business. Social media is the perfect avenue to market your business online. You can start by writing posts on various social media platforms and engaging with your readers. Another effective option would be to start a blog. Post interesting content regularly, and soon enough you’ll gain a community of followers, many of which will become your customers once you open your online shop. Email marketing is also helpful in making people aware of your business and your products. 7) What is your social media strategy? You can never please everyone, especially on the many social media platforms available. From early on, you need to decide whether you want to keep a social media presence that is generalized or one that appeals to a specific audience. Also, it is a must to interact and connect with people commenting on your posts, whether they offer positive or negative remarks. If you plan on running a specialized business, accept the fact that there will always be people you might not be able to reach because they are simply not interested in what you have to sell. 8) Is your site trustworthy? The credibility of your website can make or break your business. Users are more likely to purchase products from an authentic-looking website over a shady-looking one. To reel customers in and encourage them to make a purchase, be sure to incorporate a clutter free and intuitive design into your website. Showing your contact information, testimonials, and security badges are several ways in which you can prove your site to be trustworthy. Starting your own ecommerce website is no easy task. There are various elements and factors involved in the process. 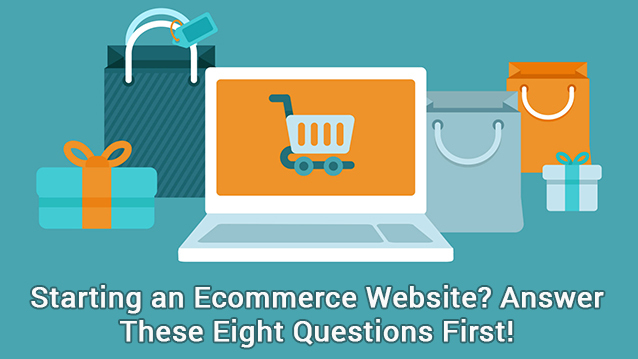 But as soon as you’ve answered all of these basic questions, then you’re well on your way to launching an e-commerce website on your own.